Eyebrow transplantation is done in the same way as in scalp hair transplant. Hair is taken from the back of the head using FUE method and then carefully planted in the eyebrow region. The hair does not need to be cut, only a small thin strip is trimmed and hair is taken from this region. This area is easily covered specially in ladies as their hair is long. The whole process takes two to three hours depending on how many grafts need to be transplanted. After the procedure, there is swelling of the eyebrows for upto 5 days and during this time the patient either needs to take leave from work or can use large sunglasses which cover the eyebrow area also. Pain is minimal during the transplant and can be easily borne. Side effects are rare to non-existent. Drawing the eyebrow shape is the most important step of the procedure and the patient is kept fully involved during the drawing so that she can have the eyebrows that she wants. Full result can take upto 6 months though a good result is obtained by one month. The transplant hairs since they are from the back of the head will keep growing long and the patient has to trim them every two or three weeks. With time the growth slows down. The long hairs have the advantage that they can be used to shape the eyebrows according to the patient's choice. 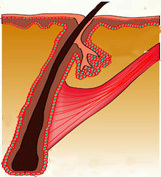 The transplanted hairs can also be threaded normally for shaping. Arogyam Hair Transplant is the pioneer in eyebrow transplant since 2012 and a large number of cases have already been done in the North East. Cost in eyebrow transplant can vary from Rs 25000 to Rs 35000 depending on the area to be done. It is a one time cost. Prior appointment has to be taken for the procedure. Contact at 9864014046 / 9854041111 to know more about this procedure and book an appointment.